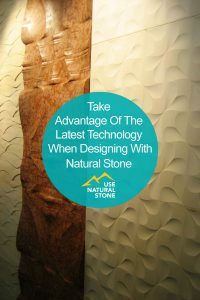 Today’s natural stone fabricators and installers have an impressive arsenal of technology at their disposal. Some say new machines and techniques let them work more efficiently, avoid mistakes, and achieve greater precision. That means they can get better finished products to customers faster. Technology also makes it much easier for customers to visualize what their countertop or mantlepiece will look like, or even participate in the design process. 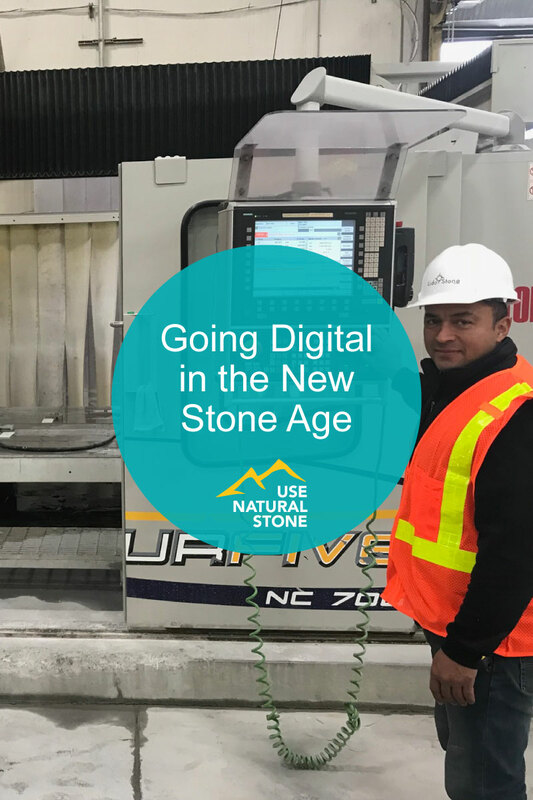 Here are some examples of how cutting edge digital tools are fitting into the age-old stone industry. 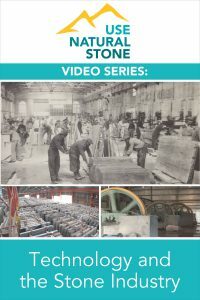 Eliot Mazzocca, owner of Lido Stone Works in Calverton, NY, used to have to fly in technicians from northern Italy, where his stone cutting machines were made, to fix mechanical glitches. Not only was that incredibly expensive, it meant he could no longer make countertops, pool decks, walls, and architectural accent pieces until the technicians solved the problem. Today, his machines have sensors that collect data and send it to the manufacturer through a cloud-based software system. Technicians can see what the problem is and guide Mazzocca’s factory manager to a solution from afar. The machines are now automated and can run unattended, letting workers move on to other tasks. Sometimes Mazzocca runs them while he’s having dinner at home. In especially busy times, he has them going all night. 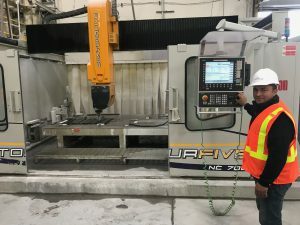 Lido Stone Works operator and programmer Edgar Jaramillo uses a CNC machine. He also uses the IoT system to track inventory, which is photographed and barcoded as soon as it comes in. Using a phone or tablet, employees visiting a customer’s home or project site can show them pictures and provide specific information about any piece of marble, granite, onyx, quartz, or limestone in stock. As the design develops back in the shop, workers put together detailed digital photos showing clients where each piece of stone will go before it is cut. “With the photos, they can see all that beautiful veining and graining as it will appear in their living room,” Mazzocca said. “What they see on paper is what they’ll receive.” Some clients suggest changes, or even download the digital CAD files and create their own designs. 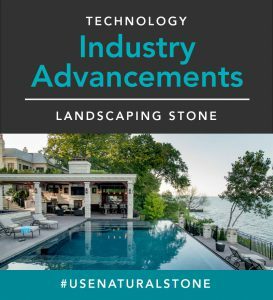 IoT is still rare in the stone industry. Much more common is the use of digital templating. Until five or six years ago, when you wanted a marble or granite kitchen countertop, a worker would go to your home, take measurements, and build a full-scale model with cut-outs for appliances and cabinets. Then they would load the model into a van and take it to the shop, where it was placed over the stone for cutting. Fusion CNC machine at Brekhus Tile & Stone. Today, many have switched to digital template machines, which use a laser to accurately record measurements. It’s faster and comes in handy for tight spaces where it’s hard to fit a tape measure. At Brekhus Tile & Stone in Denver, “tape measures are a thing of the past,” said Josh Dacek, the company’s operations general manager. 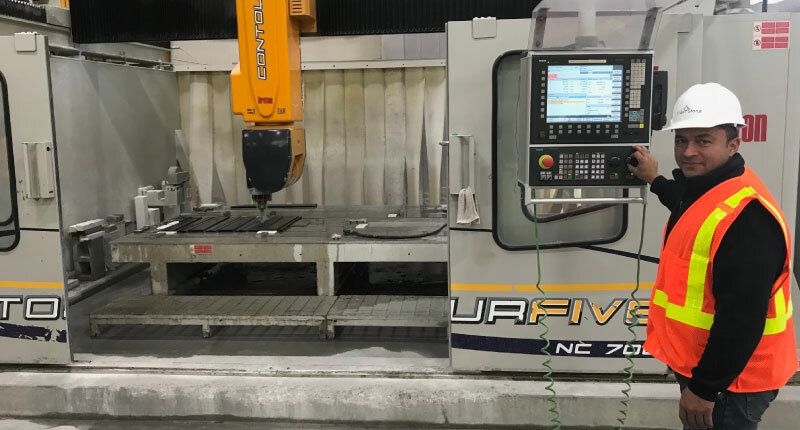 Digitized measurements from the company’s templating machine are used to program a CNC router and a saw/waterjet machine. The CNC saves time compared to a bridge saw, and the fine-cutting water jet allows workers to use more of a stone slab. “A job that may have taken two full slabs may fit on one because you can nest so much tighter,” Dacek said. That gives customers counters without seams, which many prefer. 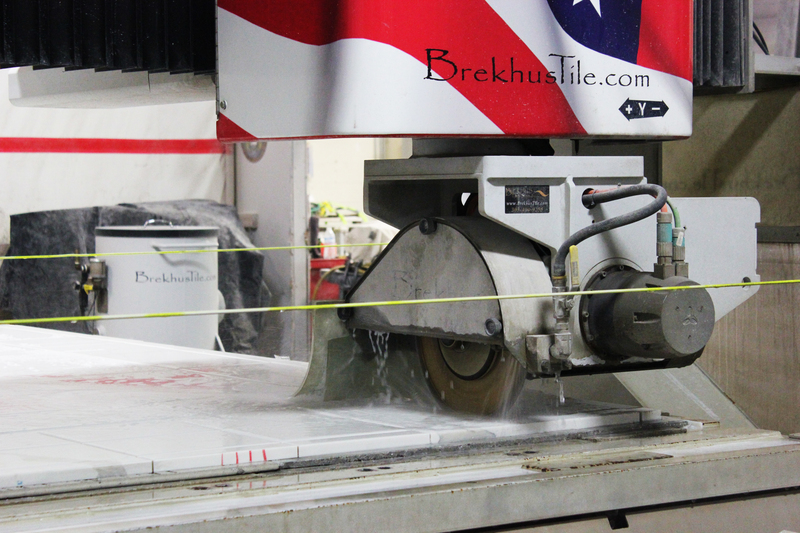 Digital equipment also allows Brekhus, like Lido, to show customers photos displaying their countertop design overlaid with the stone before the cut. “The old way, if the customer was looking for vein matching, they would have to come into the shop,” Dacek said. Wood strip templates from Seattle Granite. For all its merits, digital technology isn’t for everyone. 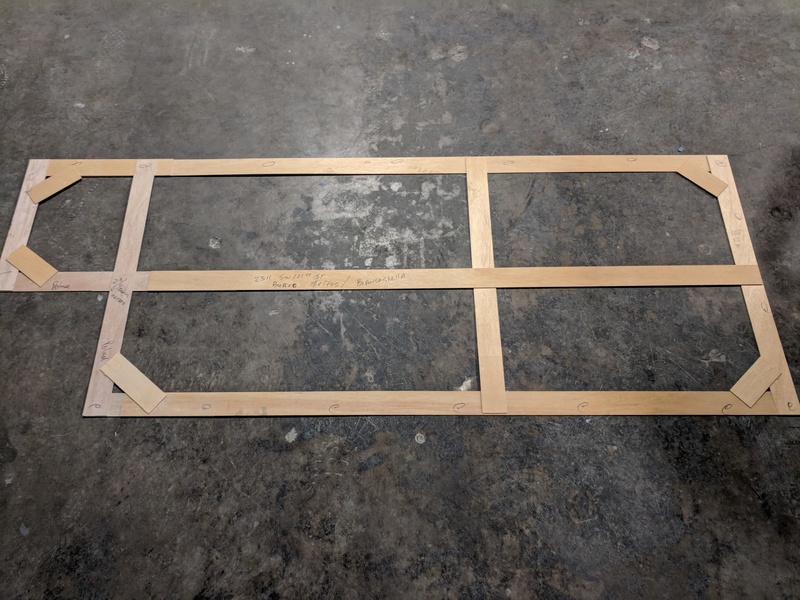 “We make templates out of wood strips and hot glue. It’s pretty caveman,” said Jarren Cheha, owner of Seattle Granite. He uses a bridge saw for cutting. “It’s pretty foolproof as long as you make your templates right. It’s not rocket science,” he said. He is still able to serve customers remotely—but in a very different way. Some live in Alaska, where stone companies are few and far between. They send him drawings with penciled-in measurements, and he cuts according to their specifications, then packs the finished countertops with great care and ships them off. So far, customers been happy with the results. Advanced technology isn’t necessary for every job. But if you’re particular about how your stone countertop, wall, floor, or stairway fits in with your décor, it’s nice to know you have options.